Tesla has finally unveiled its latest car, the fully electric Model Y. It means that Tesla is close to realizing yet another ambition of its owner Elon Musk – to literally have an unmatched range of S3XY cars. 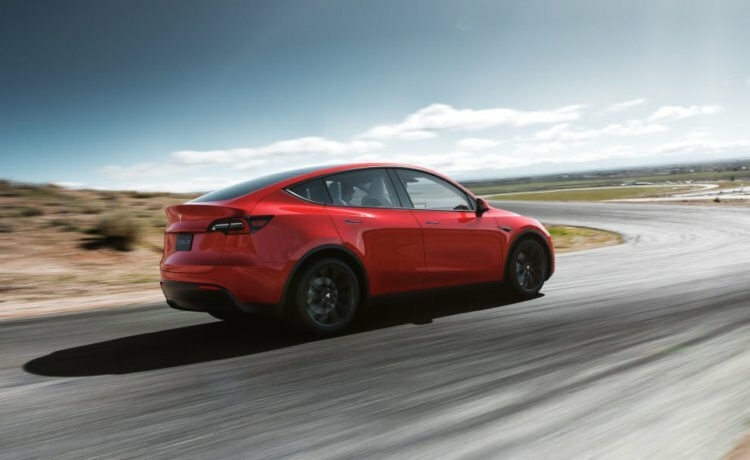 Initially Tesla is offering two models of the Model Y, the Long Range which is capable of around 482 km between charging, and the more powerful and expensive Performance model which still manages 450 km of range. The Model Y is compatible with Tesla’s 3rd generation super chargers which are capable of 350kw charging. A 15 minute charge of one of them is enough for a 270 km of range. The Model Y should deliver the impressive performance we’ve come to expect from all Tesla cars. The Long Range rear-wheel drive version reaching from 0 to 100 km per hour in 5.5 seconds, a Long Range all-wheel drive version managing to hit 100 km in 4.8 seconds and a Performance model taking just 3.5 seconds, which is about the same as the new km 911. Tesla is also offering an entry level Model Y which is capable of 370 km of range and 0 – 100 km in 5.9 seconds but the model is unlikely to be available before 2021. The exterior of the Model Y blends the closed front-end of the Model 3 with a profile that’s more reminiscent of the Model X. Both the Model X and Model Y have an optional 7 seat layout but the Sea gull wing doors on the Model X won’t be used on the Model Y, which gets frameless conventionally opening doors instead. All versions of the Model Y feature a panoramic glass sunroof and massive 15-inch landscape style touchscreen through which almost everything in the car is controlled, just like in Tesla’s other models. In fact the dashboard design is identical to that of Model 3, meaning that it’s incredibly minimalist. The Model Y also gets the same self driving hardware as the Model 3 including autopilot. It can be unlocked for a fee and can upgraded wirelessly as new features become available. Tesla sold more than a 120,000 Model 3s last year, making it the world’s best selling electric car and given the popularity of SUVs, demand for the Model Y could well be even higher, which brings us to that how much it will actually cost to own a Tesla Model Y. As per the pricing released on the launch day by Tesla, the Model Y Long Range will cost USD 47,000 and the Model Y Performance will cost USD 60,000. However, prices are likely to be significantly different depending on where you are located. As for now Tesla has again proved itself to be the leader electric vehicle segment and has another success on its hands in the form of Model Y.